Check out this awesome workshop opportunity with some of our favorite teachers!! 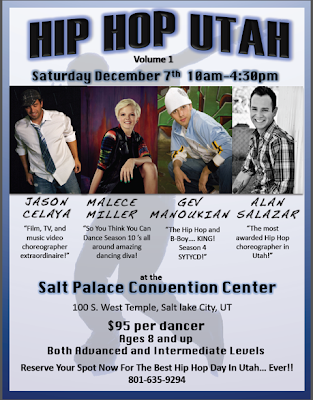 Attending Hip Hop Utah will make a great early Christmas present! This workshop will also count as a make up convention if you missed Full Out. Come and join the fun! Saturday, December 7, 10 a.m. to 4:30 p.m.